Cooperative skill challenges in detail! 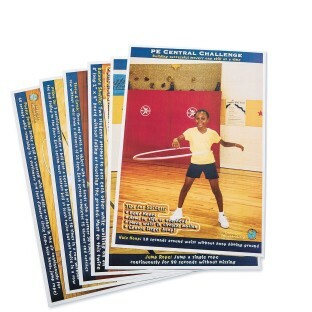 Six colorful 12” x 18” posters that depict and explain each of the Cooperative Skills Challenge tasks that make up the popular PE Central Cooperative Skills Challenge developed by PE Central and sponsored by S&S® Worldwide. Each of the posters has a picture of children doing the challenge and a brief explanation of the challenge. The posters are great for stations and for introducing the skills challenges to students. Posters are made out of 80 pound coated white bond paper. Poster are not laminated, but can be laminated by the customer for added durability and longer life.